Thanksgiving was fun, but it looks like we’re going to have company in our place for the weekend, which means no spanking fun. Well, we could, I suppose…but the walls are thin and I think any bedroom activities would be a bit too much info for the company we’re going to have. It was bad enough that time my mom heard us. It’s a good thing Dan bought me that doggie bone gag for my birthday this year, I may need it to chew on to relieve the frustration at the rate we’re going. Heh. 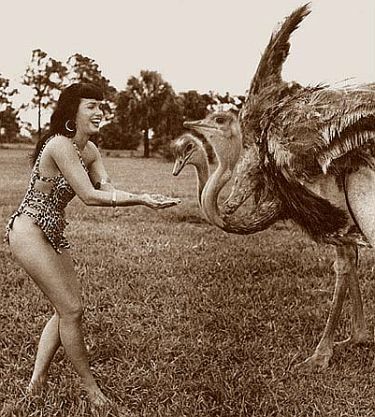 Now that’s my kinda bird… still running around with its feathers on, lol… go chickie, go!